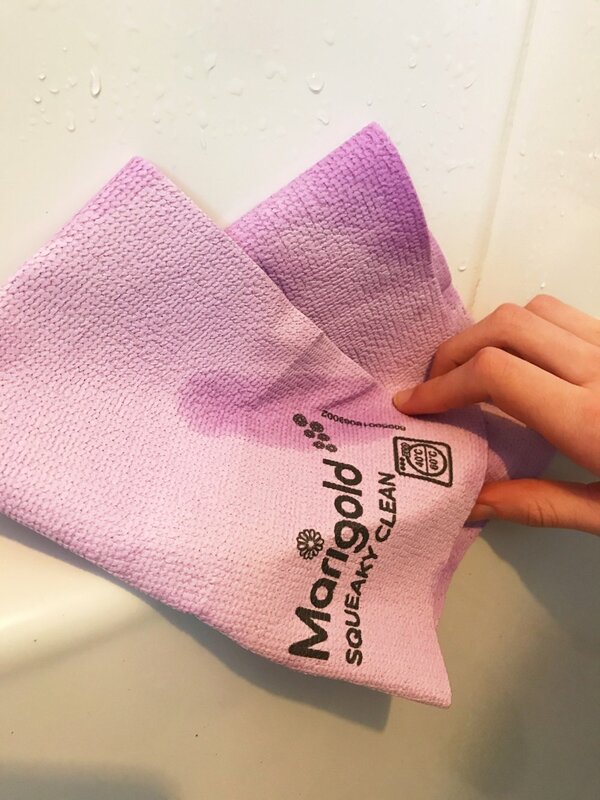 We’re celebrating 70 years of Marigold with a little look at some of their cleaning products and it’s not all yellow rubber gloves… although I may talk about them a little bit. 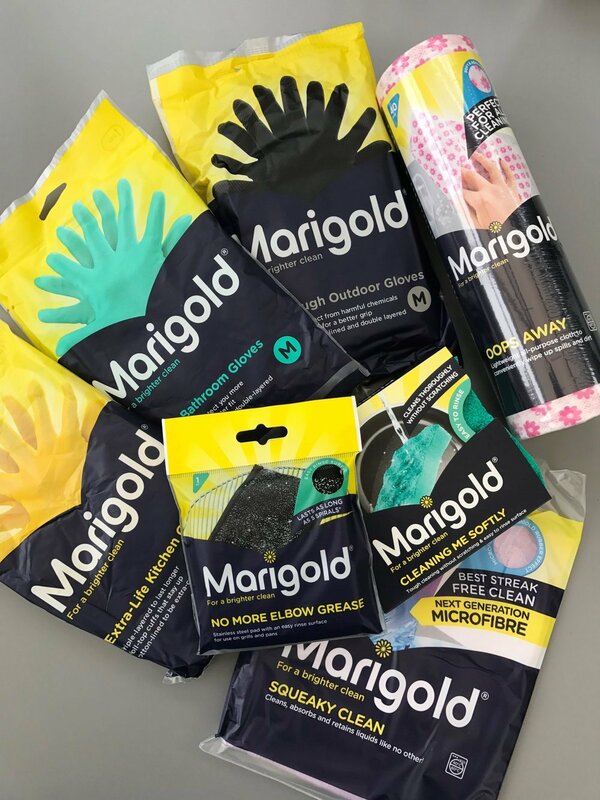 Did you know that way back in 1947 when Marigold first brought out their rubber gloves they were considered a luxury item, how weird is it to think of these now household essentials as being a luxury?!? Marigold now have a whole rubber glove range! Not just the iconic yellow kitchen gloves, which hand on heart last way, way longer than any other brand I’ve tried! They have extra long length blue bathroom gloves which are great for dirty bathroom jobs and protect much more of your arm than regular length rubber gloves. There’s also extra thick black rubber gloves which are ideal for outdoor cleaning or jobs where you want extra protection from cleaning chemicals. 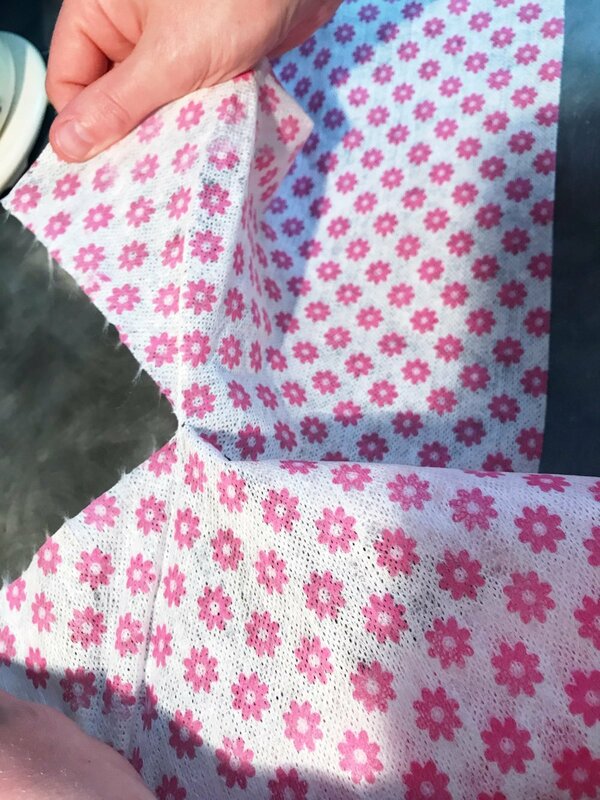 We’re really liking the Marigold Oops Away re-usable kitchen roll, this is a fab little addition to my kitchen cleaning stocks. They’re absorbent, soak up spills quickly, are great for quick cleaning jobs like wiping the table and kitchen worktops AND you can throw them in the washing machine at 60 degrees with the tea towels and use them again. Only thing is I wish they came in a little pull out box, like baby wipes so I could refill it with the freshly washed ones. The new Squeaky Clean micro-fibre cloth is great for quick wipe-ups around sinks, bath tubs and showers and fab on glass and tiles. It’s super absorbent and leaves no streaks! You can throw this in the washing machine at 60 degrees too. And if you’re needing extra help with the washing up, the Marigold scouring pad and cleaning sponges work a treat. Great for scrubbing off burnt on food and they don’t scratch the surface. I quite like the sponge for cleaning the sink – tough side for any stains/stubborn marks and the softer side for a quick wipe around. Disclaimer – the Marigold products in this review were sent to me free of charge, however Marigold is the brand I usually buy anyway! For full details of my disclosure policy – read here.